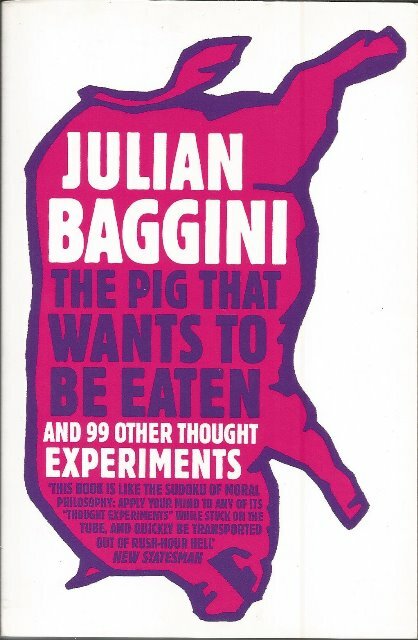 The Pig That Wants to be Eaten by Julian Baggini presents 100 thought experiments - short scenarios which pose a problem in a vivid and concrete way - and invites the reader to think about possible answers for him/herself. Experiments cover identity, religion, art, ethics, language, knowledge and many more. From Zeno's paradox to Groundhog Day (how do you make sense of a life of eternal recurrence? ), via the pig that wants to be eaten (so should you eat him? ), Plato's cave, Minority Report (is it right to punish people for what they are going to do, but haven't yet done? ), and an American Werewolf in London (how can we tell whether we are awake or dreaming? 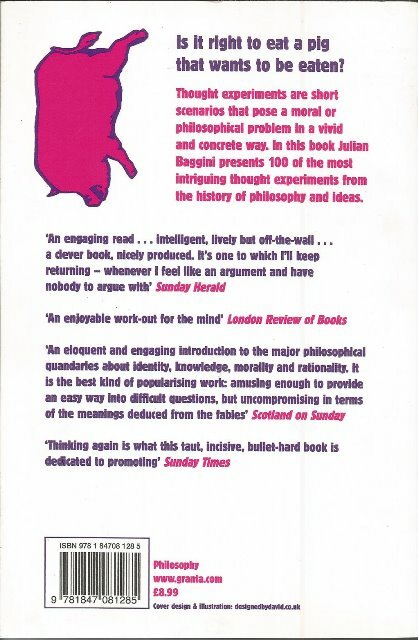 ), this book makes philosophy not only mind-stretching but also entertaining.